In visiting a neighboring town yesterday, and taking my camera, I managed to snap several scenes through the windows as DH drove. 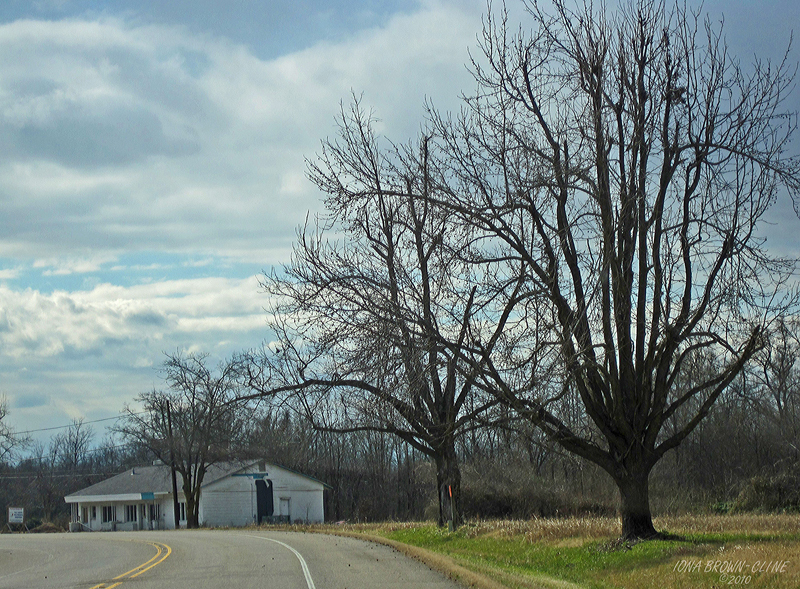 This is a shot taken through the windshield upon entering a small town. Speed was about 35 mph. One thing that has taken a lot of getting used to after I moved to NE Arkansas from the Pacific North West, is the black bare trees during the winter. I am well aware this is how God made them, but they are stark and foreboding to me – even yet. These here appear to be grasping towards the sky with their bold black arms.